Preparing bright children with dyslexia for the traditional classroom and beyond. One of the nation’s leading schools for children with dyslexia, the Wardlaw School builds the complex language, literacy and social skills necessary to master future academic settings. The Wardlaw School is designed to be short-term, allowing many students to move to mainstream educational settings after about 3 years. Our students leave us academically prepared and ready to embrace challenging experiences in school and in life. 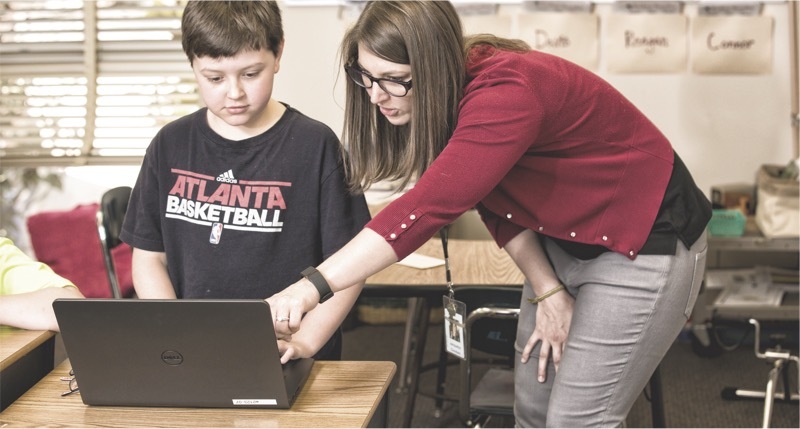 Wardlaw develops independent, confident learners who are prepared for the rigors of a mainstream environment, fully equipped to meet academic demands as they advance through school and beyond. Our Wardlaw professionals create an educational environment designed to help each child reach his or her full potential in school and in life. Informed by the latest research, the Wardlaw School provides a full-day learning environment rooted deeply in language and literacy. Masters level professionals use multi-sensory approaches, data-driven instruction and a unique Integrated Intervention Model© to provide a comprehensive program that fully addresses each child’s learning needs. The Wardlaw School is not a one-method school because every child learns differently. Even children who share similar diagnoses have distinct learning profiles. Rather than forcing children to fit a single curriculum, we design the program around each child. After years of research, we developed our Integrated Intervention Model with a team of multi-disciplinary professionals who ensure that every child excels in future academic and professional settings. Most Wardlaw students leave the school within three years, ready for the rigors of accelerated academic environments as confident, capable learners. By focusing on depth of understanding, critical thinking, and other higher-order language abilities, rather than simply overcoming the barriers to decoding language, Wardlaw equips its graduates with the cognitive development necessary to reach their full potential. Every day, the faculty and staff of the Wardlaw School empower our children to take new steps toward mastering language and literacy for a lifetime. We invite you to join us in our mission as we bring the power and joy of reading to each child in our care and every child in Georgia.